OTTAWA — Canada's privacy watchdog says he's worried that privacy rights in Canada are being cast aside as both public and private entities rush to mine digital data from citizens and customers. 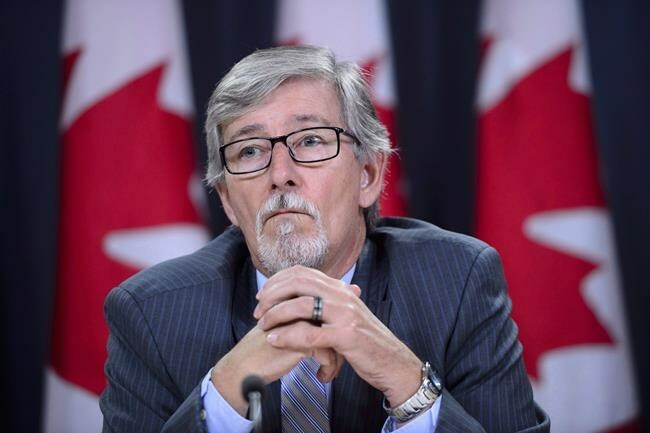 "We have reached a critical tipping point upon which privacy rights and democratic values are at stake," privacy commissioner Daniel Therrien said in a letter to Innovation Minister Navdeep Bains on Wednesday. Therrien wrote that government has been slow to put a legal framework in place to ensure Canadians maintain trust in the digital economy and he's increasingly troubled by it. The government must take stronger actions to protect Canadians' digital privacy in the face of the lightning-fast evolution of ways to collect deeply private information, he says. "Recent events have shed light on how personal information can be manipulated and used in unintended, even nefarious ways," the letter says. Therrien pointed to technology executives, such as Apple's Tim Cook, who have recently warned about data extraction being used in ways that could breach the public trust. Facebook's Mark Zuckerberg also recently admitted his company committed a "serious breach" in the Cambridge Analytica data controversy, which involved the alleged unauthorized use of some 87 million Facebook profiles globally — including those of more than 600,000 Canadians. "You know the ground has shifted and that we have reached a crisis point when the tech giants have become outspoken supporters of serious regulation," Therrien wrote. "Now is the time to ensure we adopt the best approach for Canadians." He raised a concern over a question posed to Canadians by Bains' department as part of a national public consultation launched this summer on data. It asks how government should try to strike protect Canadians' digital privacy "while not impeding innovation." Therrien wrote that he is "wary of this discourse" as it suggests that privacy and innovation are at odds. "At a time when new and intrusive targeting techniques are already influencing democratic processes and data analytics, automated decision-making technologies and artificial intelligence are raising important ethical questions that have yet to be answered, Canadians need stronger privacy laws, not more permissive ones." He also says it is "absolutely imperative" for privacy laws to apply to Canadian political parties.